Mykonos is the ideal place for wedding celebrations that will leave you with unforgettable memories. If you are planning out a wedding this year in Mykonos then your experience will be full of glamour, natural beautiful surroundings and clear skies full of stars. We at The Ace VIP will make your Mykonos wedding one of the most beautiful experiences with a perfectly elegant setup for the wondrous night that you have always been dreaming about. 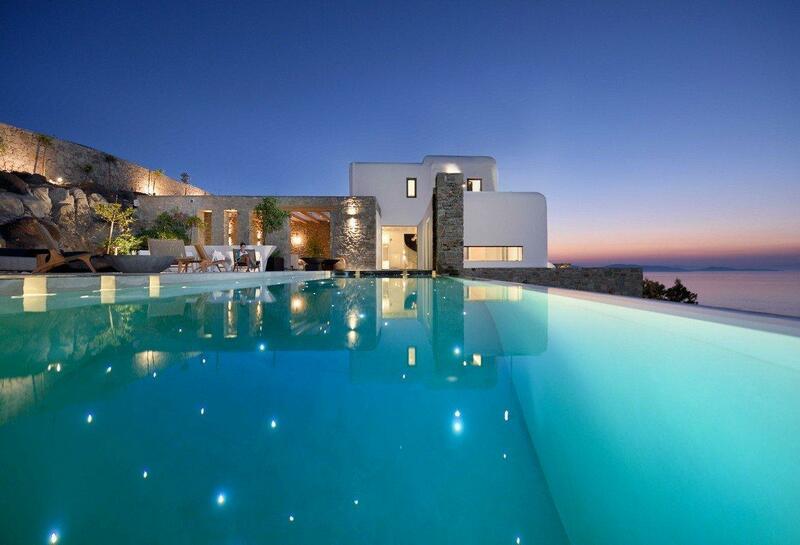 The beautiful island of Mykonos is known to have a delightful effect on people. It leaves them mesmerized and it is natural to want to revisit it. Mykonos is an ideal luxury-wedding destination and we are dedicated to make your dreams of the perfect wedding come to life. We take care of even the slightest details to organize weddings in Mykonos by making sure everything is as close as possible to perfection. Plan out your entire event with us and we will make sure to procure everything you wish for on your list. Weddings tend to be stressful for most couples, but our responsibility is to organize a stress-free event for you your significant other by giving you all that you desire towards your perfect luxury wedding in Mykonos. We will arrange the event for as many guests you like without setting any limits. Greece is one of the most extravagant destinations in the world to celebrate all types of events, especially weddings. The amazing island consists of astonishing sceneries that are perfect for a fairy tale wedding and we will help you arrange the most dream-like wedding in Mykonos that you aspire to. Our purpose is to provide you with a stress-free, enjoyable experience for the wedding that will become the talk of town. Details and decorations are all taken care of by us and are lavishly decorated for the most special day in your life. Trust us, your Mykonos wedding planners and we will provide you with a variety of decorations suitable to your specific wedding theme. Our specialized decorators will decorate every spot extravagantly. Whether you like a small private wedding or a large glamorous reception, our arrangements will make your wedding in Mykonos worth remembering. Mykonos is famous for its aesthetic beauty and beaches; we will arrange the most beautiful beach wedding with flickering candles all over the sandy area and sparkling fireworks in the night sky. Tables can be decorated with crystal vases and a variety of elegant thematic flowers such as white or pink roses, peonies, tulips, orchids and more! Tall standing mirrors and luxurious seating with silk cushions or cloth will also be arranged as a part of the wedding’s glamorous decor. Our Mykonos wedding planners will provide you with excellent wedding advice on how to make the best arrangements. Special performers can be hired for entertaining your guests or for special performances dedicated to your partner. We also provide a kids’ entertainment section so that the adults can fully enjoy the special evening. Special VIP arrangements are made for our respectable guests to have the time of their lives. To keep the wedding lively we have special entertainment arrangements. Live music from famous musicians and bands will become one of the most enjoyable sessions of the event. The bride and groom can take their dance and sway to the romantic tunes and let their guests enjoy the evening. Luxury weddings can be arranged in our VIP Mykonos wedding villas, hotels or beaches and can have the same trend of decorations with customizations according to the couple’s choices. The wedding decor will add a romantic hue in the air and at the same time will leave an impression on your guests.Your wedding will turn into a memorable event not only for you but also you guests. Holding a wedding in Mykonos is one of the most romantic choices a couple can decide on. We perform the complete organization of the wedding in one of the most beautiful settings in the world. Besides the complete wedding planning and event setup, which includes wedding day coordination, we also offer proposal planning, and hospitality packages in several categories. Our approach to wedding planning can make your wedding the one everyone talks about. Marriage requires a lot of love, patience, understanding and compromise. We believe your wedding should be distinct with amazing attention to detail that will reflect who you are as a couple. Your guests will be captivated by the unforgettable experience of your wedding as each aspect of your special day unfolds. Private Events Organization. Our expert wedding planners know exactly how you want your wedding. Discuss all your plans and wishes to our wedding planners and all your requirements will meet the standard you deserve. Be stress free as we take care of all your arrangements including legal contracts and documents. As far as church is concerned, all booking and wedding ceremony reservations can be arranged by us. You may choose whatever church in Mykonos as all of them are quite unique and aesthetic; you may leave the rest to us. Marriage licenses, accurate information and assistance with paperwork will be managed by us too. Every person dreams of a wedding that resembles a fairy tale. Weddings are supposed to be a person’s most important occasion and due to that everything needs to be perfect, be it food, decorations or music. Weddings at Mykonos can be a perfect experience for such a beautiful and romantic event. 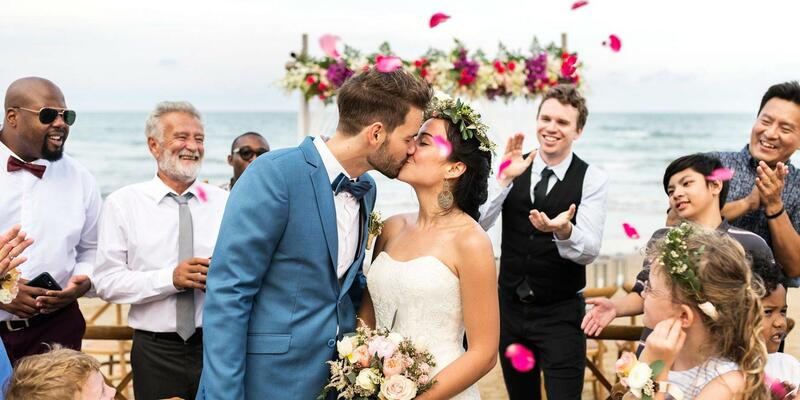 The island in itself is like a dream place and with our precisely organized wedding plans your wedding will be remembered by anyone who visited it. 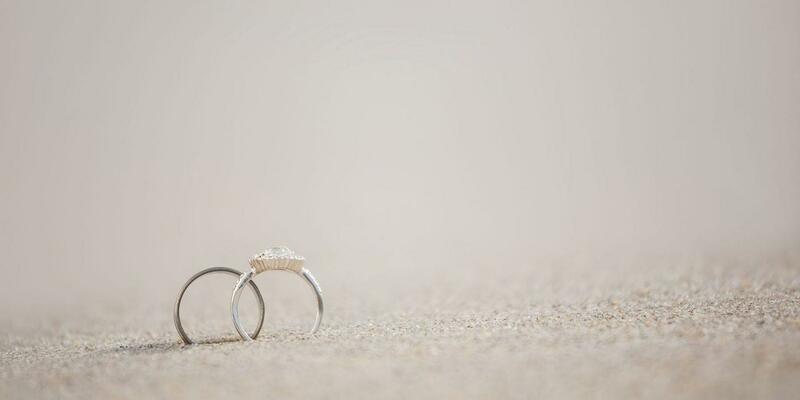 Make your vows and traditions under a clear starry night or on a peaceful sandy beach near the turquoise ocean. Or you can choose one of our luxurious villas for the perfect wedding experience. Trust The Ace VIP with your wedding preparations and let us worry about everything. Our wedding organizers will not only arrange the event but they will also advise you on how to achieve perfection. They will help you in deciding themes and color contrasts for matching arrangements and decorations. Planning a wedding is very stressful and time consuming but an easy task for wedding planners that can plan it all out in no time. Food, photography and music are some of the main priorities that differentiate each wedding. The Ace VIP has its own catering and private chef service available for all kinds of events. Our organizers provide photography and music options by helping you decide what would be better for your theme and wedding style. Our luxurious VIP villas are large enough to arrange an extravagant party with a large number of guests. Whether you are planning a large wedding or a small private event, The Ace VIP will cover your needs. All our villas come with multiple rooms (as many as 17) with a pool, stone pavements, BBQ areas and breathtaking views of Mykonos’ beaches and town. Party all night in the villa with your closest friends and family and then wake up to a beautiful, breathtaking sunrise. The beautiful island of Mykonos is seen as the perfect spot for celebrating a wedding. Have total control of your wedding and arrange a traditional Greek wedding at a luxury villa with all your guests. The villa is large enough to have enough privacy. Some couples prefer spending time with their loved ones on their wedding day, so the villa can be used for a stay of multiple guests as well as for complete privacy. The Ace VIP has a renowned service of VIP car rentals that can be provided to the groom and bride for the event. Travel in a luxurious ride as you will also be provided with a chauffeur to make you feel relaxed after a tiresome day. The car service will also carry your luggage to your Mykonos wedding villa. All of our services have a purpose and that is to make you feel comfortable in all situations. You can depend on our management and team to take care of all your stuff. Tables can be decorated with crystal vases and a variety of elegant thematic flowers such as white or pink roses, peonies, sunflowers etc. Tall standing mirrors and luxurious seating with silk cushions or cloth can be arranged for the wedding’s glamorous decor. Our Mykonos wedding planners will give you excellent wedding advice too for making the best arrangements. Similarly, weddings arranged in luxury Mykonos wedding villas, hotels or churches can have the same trend of decorations with customizations or refinements according to the customer’s choice. 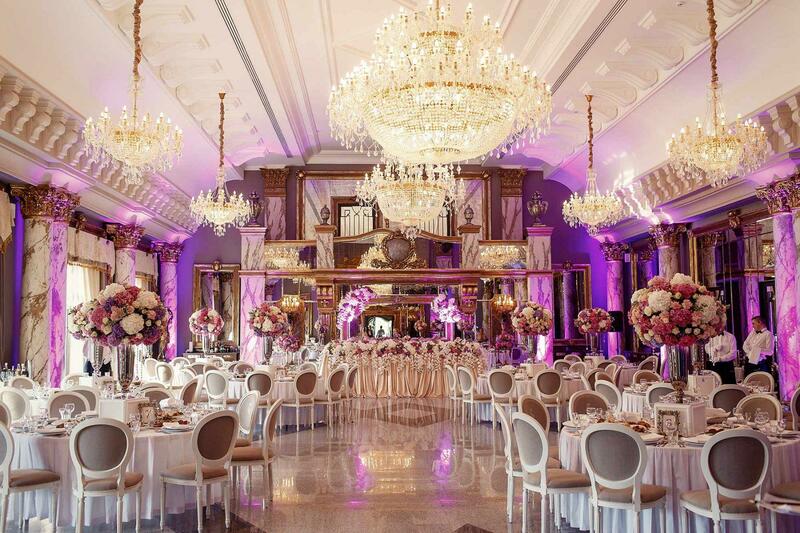 The wedding decor will add a romantic hue in the air and at the same time will leave an impression on your guests. To keep the wedding lively we have special arrangements for entertainment. Famous DJ’s in Mykonos know how to keep an event enjoyable with their list of specially chosen music and a superb sound system. Your wedding will turn into a memorable event not only for you but also you guests. Weddings on Mykonos beaches have a romantic hue of their own. Beach weddings in Mykonos have a close to fantasy look that can be a dream for most people. We will arrange any kind of decorations and entertainment for your beach wedding that will be picture perfect and worth the enjoyment. At the end of the evening, a spark of fireworks or floating lanterns can be arranged on the beach for celebrating the marriage of the couple. Yacht service is also one of our most used services for VIP or luxurious weddings. You can arrange an after wedding party or have dinner as you like on board. The beaches of Mykonos are breathtakingly beautiful and a Mykonos beach wedding ceremony can be perfectly arranged there with a boat service on its waters. All these locations are ideal for a wedding in Mykonos Greece and with our help you will have the time of your lives with an aesthetic and colorful wedding. Be stress free as we take care of all your arrangements including legal contracts and documents. As far as church is concerned, all booking and wedding ceremony reservations can be arranged by us. You may choose whichever church in Mykonos as all of them are quite unique and aesthetic and then leave the rest to us. Marriage licenses, accurate information and assistance with paperwork will be managed by us too. Are you having trouble finding a wedding invitation card designer? You don’t need to worry at all as we have amazing card designers and print services to create a luxurious wedding invitation card for your special day. An invitation card is an important part of your wedding as it represents the kind of celebrations that will be held. Our special designers will make your card look unique and enchanting. An invitation card also serves as a memorable piece of evidence, for you to look back at the moments and recall the happiness given into it. Photography is an important part of a wedding and the wonderful experience you had, taking you back in time. Our professional photographers cover the entire event and will not miss a single second of the happiest moments. An artistic videography of the entire event including reception will be provided in a recorded DVD and the photographs will be recorded on a CD as well as printed into an album. We make the photographs and videos more than just a disk or file, we make them an entire experience by bringing true emotions into them. Weddings are crowded and people need transportation. So… besides our luxury VIP cars, we also have minibuses and big buses to provide for your guests to make sure everything is on-time as planned. It is every bride’s dream to look and feel perfect on her wedding day. To help make that happen we will arrange a professional bridal treatment in Mykonos to make the bride look spectacular. From glowing skin to hair and makeup, everything needs to be perfect for the bride to be and our every service including spa treatments, massage, makeup, hair and dress setting is done based on making the bride feel highly special and royal. Pamper yourself with a body massage and skin facials and treatments to retain a glowing look on your special day. At the end of the evening, a spark of fireworks and floating lanterns has become a tradition for celebrating the marriage of the couple and to let everyone know of the successful event. You can’t have a wedding without fireworks and it becomes an excuse to further enjoy the event and to let the momentous day linger on. 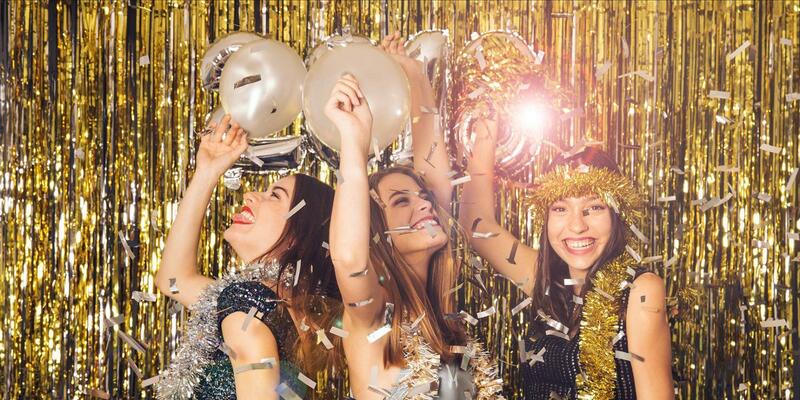 Bright colorful sparks are a must, and our fireworks or sky lanterns are completely safe and used by trained professionals to keep away from any mishaps. The fireworks are started from a perfect distance to let everyone enjoy them and see them in full view with the beautiful island of Mykonos. The cake is the most important tradition in a wedding. We have professional cake decorators in our staff that will prepare exactly what you desire in your cake. You can taste samples for cake flavors and icing and discuss the cake design with the bakers. Tiered cake with simple white frosting and fresh flowers or fondant decorated cakes are available in a variety of flavors. All food items are decided according to the client and we can also provide suggestions for creating personalized dishes with regards to dish types, seasoning or special requests. We can direct our expert chefs in preparing the exactly dishes that you want. Everything is created with fresh and healthy ingredients to ensure nutritional value. Any specific ingredients can be modified or replaced according to the customer’s desire. Thematic dishes with appropriate color contrasts can also be arranged according to the wedding theme. Private Events Organization whether you’re hosting an intimate dinner or a grand event, you want a unique and unforgettable experience, for both yourself and your guests. After all, each event should be a reflection of the host, not the event planner. We can also provide live entertainment for your events including Live Bands, DJ’s, Dancers and International Superstar Performers. These include International A-list Celebrities, Musicians, Movie Stars, Comedians, Athletes, Keynote Speakers and Other Entertainers for your event.